This unique 14" x 8" plaque is made with baseball letters which spell out the word TEAMWORK. 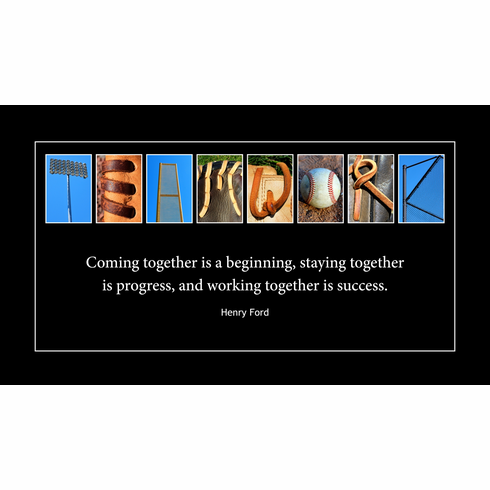 Includes Henry Ford quote, "Coming together is a beginning, staying together is progress, and working together is success." ~ 3/8" thick plaque is $74.99. ~ 1" thick box plaque is $89.99. ~ Black background and sides, white text, baseball letter art photo letters.